CDS Ltd T/A Pro-Wash - Cleaning Services, Driveways/Patios/Paths, Landscaper based in Brinklow, Warwickshire. 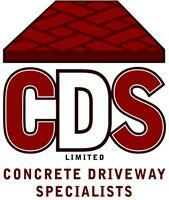 For paving and driveways in Coventry, Rugby and the Warwickshire area look no further than CDS Ltd, the experts in pattern imprinted concrete and Block Paved driveways, patios and paving renovation. We also install Artificial grass. A family business with over 20 years experience in the paving industry, you can be sure that CDS Ltd will install a stunning, quality driveway or patio with a superb level of craftsmanship. We have been trading with a successful business for over 10 years and our personal service sets us apart. We are a small husband and wife company with just one small team that carries out one installation at a time ensuring you of our full attention to detail and requirements. Our company is one of few contractors specialising in Pattern Imprinted Concrete, the innovative, permanent, weed -free paving system. Imprinted concrete really is paving to last a lifetime and you will never have to worry about weeds or sinking for the life of the product. Its non permeable which means it wont absorb dirt, engine oil, diesel or any other stains. CDS Ltd are Bradstone Assured for block paving products and are backed up by their 10 year guarantee. We also offer Tobermore products with a 25 year guarantee. Block paving can be laid in traditional styles or with the more modern linear shape or mixed sizes. We offer excellent quality when it comes to our blocks and only lay branded products with an excellent product guarantee. Quality products are less likely to lose colour, are less porous therefore staying cleaner and they are more robust in the elements. We also offer acrylic sealing products for block paved installations. CDS Ltd offer full landscaping services from natural stone slab paving to raised planted beds. We also offer the Pro-Wash service which aims to completely renovate your existing paving by cleaning, re-sanding and sealing as well as levelling any sunken or damaged areas of paving. We can renovate block paving, pattern imprinted concrete and even tarmac. If it's Artificial Grass Warwickshire you need then rest assured we offer the best quality artificial lawn installation with a full product and workmanship guarantee of up to 10 years! Excellent, friendly service from a company you can trust! We are the leaders in weed free, low maintenance paving and driveways in Warwickshire and the surrounding areas. Our personal service ensures our customers can have a stunning, functional, lasting driveway for less than you think! We have have full £5million public liability insurance, essential for any contractor. We can offer a solution to almost any paving dilemma, call us for a free no obligation quotation. Read our reviews, our customers speak for us and most of our work now comes from recommendations or repeat business. Ask us for a list of addresses to view some of our projects.